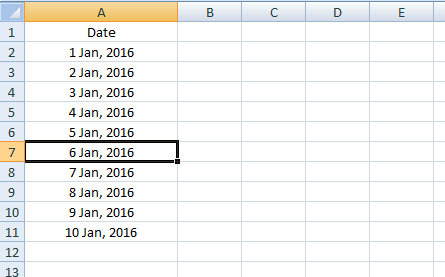 Let's say, I would like to add 5 rows between cells A6 and A7. So select cell A7 > right mouse click > Insert... > select Entire row. 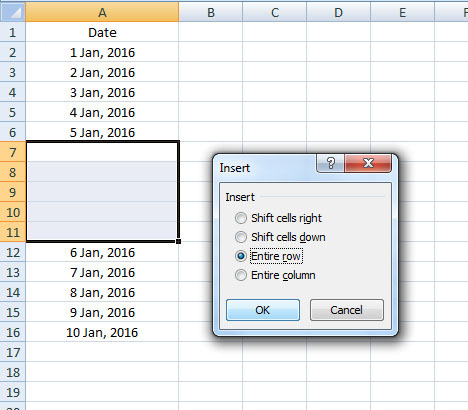 It will add a single row between the cells while moving the original cell A7 content down. Now press 'F4' key four times (or more per your demand). So now I have 5 rows inserted. But now I decided to insert 15 more rows (total = 20 rows). So highlight the five rows you just inserted > press 'Ctrl + ' > select Entire row from the Insert window > click OK. It adds additional 5 rows. So now you have 10 rows. Press again 'Ctrl + ' > the Insert window opens again > select Entire row > click OK. Now you have 15 rows.